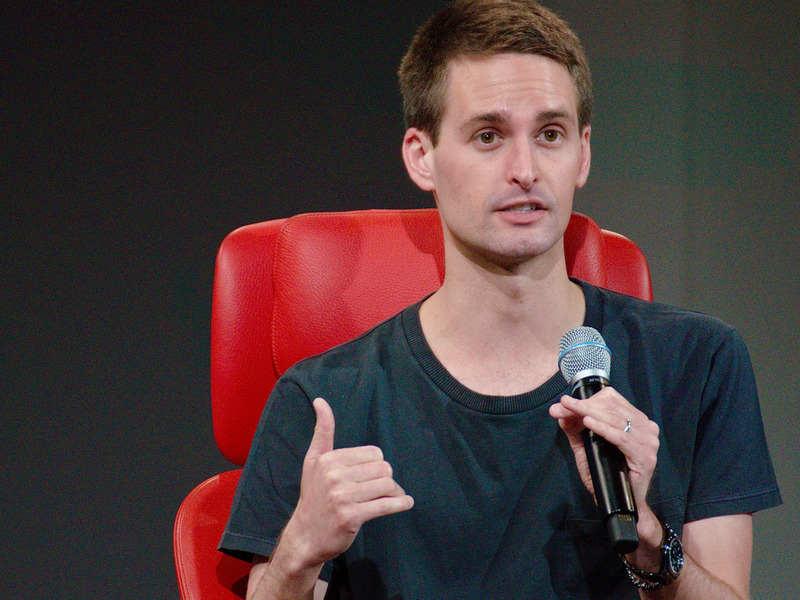 In a 15-page internal memo obtained by Cheddar, Snap CEO Evan Spiegel admitted that it went too fast in releasing its controversial app redesign, and set company-wide goals for 2019 – including becoming profitable. “In our excitement to innovate and bring many new products into the world, we have lost the core of what made Snapchat the fastest way to communicate,” Spiegel wrote. The 6,500+ word memo was surprisingly candid for Spiegel, who describes himself as a shy person who feels awkward walking around the offices to chat. It is timely, however, as Snap’s stock closed below $US8 per share on Thursday for the first time since going public in early 2017, as Facebook’s Instagram puts pressure on the business. To read more about the memo, click here. Facebook is battling an internal revolt after one of its execs went to the Kavanaugh hearing. Employees are outraged after the company’s policy chief, Joel Kaplan, attended the Brett Kavanaugh hearing. Kavanaugh and Kaplan are friends, and worked together in the Bush administration. YouTube TV is rolling out a bunch of new features to woo cord cutters away from cable TV. The new features come as YouTube TV continues to expand its content menu beyond its existing selection of cable TV and traditional TV channels. Apple strongly denies bombshell report that Chinese spies were able to secretly implant chips in its servers.A blockbuster investigation by Bloomberg published Thursday found that Chinese spies were able to add small, undocumented chips to motherboards in data servers bought by big US tech companies. Tronc -the owner of the Chicago Tribune, Baltimore Sun and New York Daily News – is changing its name back to Tribune Publishing Co. The move comes two years after it underwent one of the most-maligned corporate rebrandings in recent memory.